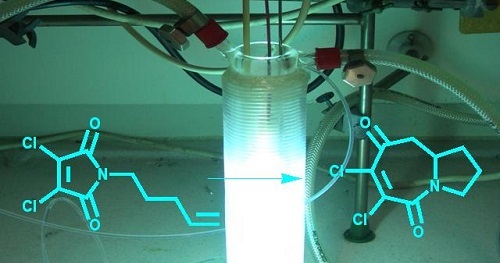 Photochemistry: the branch of chemistry concerned with the chemical effects of light. Generally, this term is used to describe a chemical reaction caused by absorption of ultraviolet (wavelength from 100 to 400 nm), visible light (400 – 750 nm) or infrared radiation (750 – 2500 nm). The study of photochemical systems that use sunlight to drive important chemical reactions or to generate electricity is of great practical significance for the development of sustainable sources of energy.